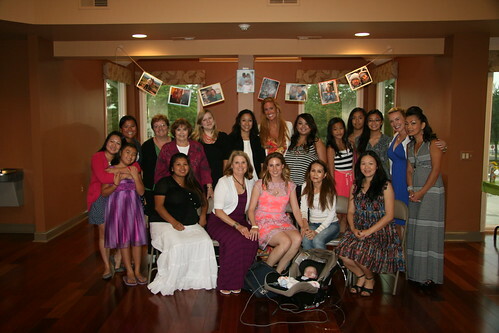 Last weekend I was treated to a beautiful bridal shower that was an amazing team effort. I am so fortunate to have such creative and organized friends and family! Even more, my super-fiancee was the ring-leader making it a super special day. The weather outside was overcast and rainy most of the day, but that just meant that we didn’t have to stare at bratty kids and hot dog legs outside at the pool. 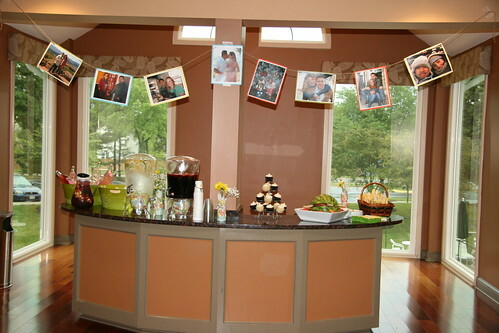 We had cupcakes, sangria and spa water below an adorable banner of some of our favorite photos and memories. I’ll start with the food, as this blog primarily focuses on yummy treats. They brought the best of both worlds to satisfy my American and Vietnamese family and friends. You can’t go wrong with cheese, veggies and deviled eggs when planning a party menu. Hummus and croissant sandwiches don’t, hurt either! 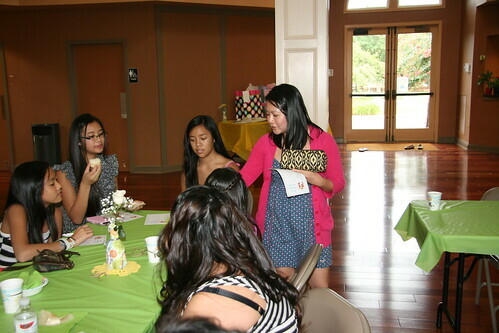 They ordered some of my favorite Vietnamese dishes that were a hit with everyone at the party. 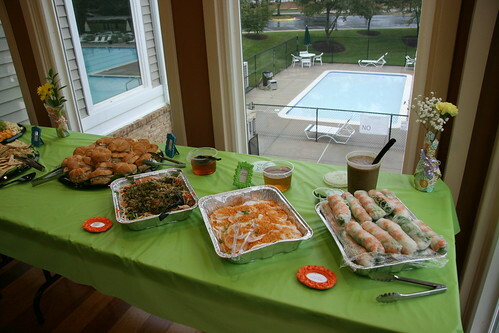 From right to left below: Gỏi cuốn (popularly known as Summer Rolls), Banh Beo (Steamed Rice Cakes with Shrimp), Hen Xuc Banh Da (Baby Clams with Rice Crackers). I haven’t tried this as home yet, but maybe I’ll use this recipe and give it a shot on Redskins game day! 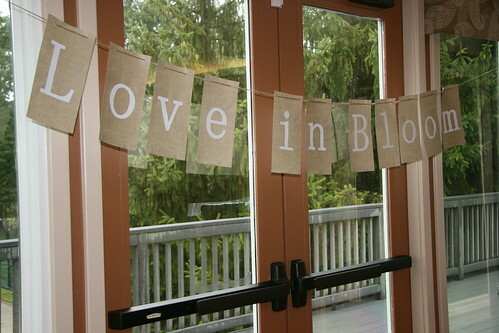 We had a few fun games including a Price is Right style guess the price game for my wedding day emergency kit – I guessed closest to the actual cost and got to keep the kit for our big day! Not too bad. 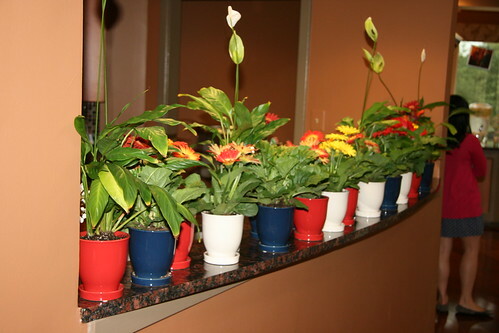 My Mom outdid herself and potted Gerbera Daisies and even potted prayer plants from her own family stash. A very special gift, indeed. Even more so, though, was her shower gift. I can always count on Mom and Dad bringing on the water works and this time she nailed it. Rather than buy something for traditional bride-to-be’s, she wanted to share a part of my family who I unfortunately was never able to meet. She plotted with one of my cousins to dig up Purple Iris bulbs from my Dad’s mother who passed before I was conceived and born. Now Hubs and I will be able to have flowers from my Grandmother’s garden of more than 35 years ago as we begin to grow our own lives together. I can’t think of a more meaningful and thoughtful gift. I can’t wait for them to bloom! 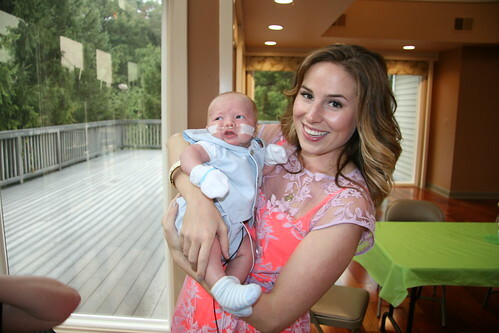 And you know I can’t write a blog post about an event attended by my nephew without a photo. I picked up this handsome vest / trouser combo at Jack and Janie WAY before he was born to wear at our wedding, but why not get all gussied up for a bridal shower with the ladies? Caption this: Get me outta here!!! Good luck to both of you from a stranger who accidentally, comes across your wonderful blog. Happy!